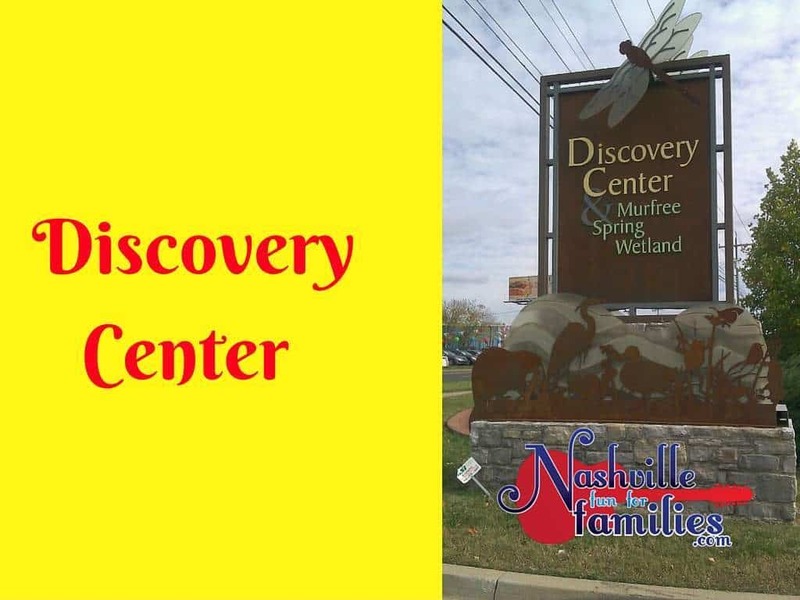 Your kids are going to go bananas for the Discovery Center in Murfreesboro, TN. 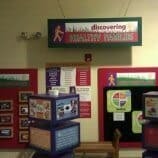 The Discovery Center has something to offer for just about any child in your family. When you enter, the admission desk is directly in front. 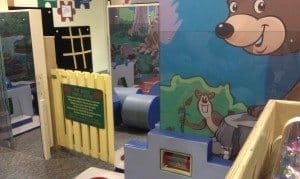 It is not separated from the play area so keeping your kids from running off to the fun while you pay or show your membership card will probably be the hardest part of the trip. 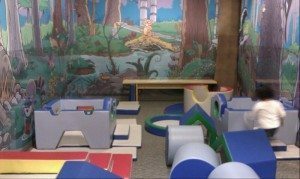 Just outside the toddler area is a large play room for children ages 5 and under. 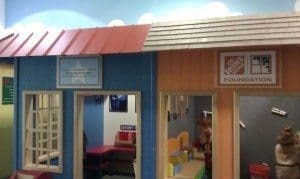 This unique playspace features a series of child-sized rooms set up as storefronts. There is a hardware store, a grocery store, a post office and more. 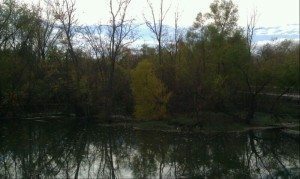 A huge tree stands in the middle of this area. The tree has a ladder built within that is just the right size for a preschooler to climb up. There is an overlook built into the top of the tree which is fun for the kids and makes for a great photo-op! 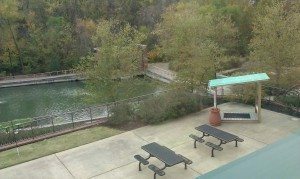 There is a bathroom located in this area and a nursing room. 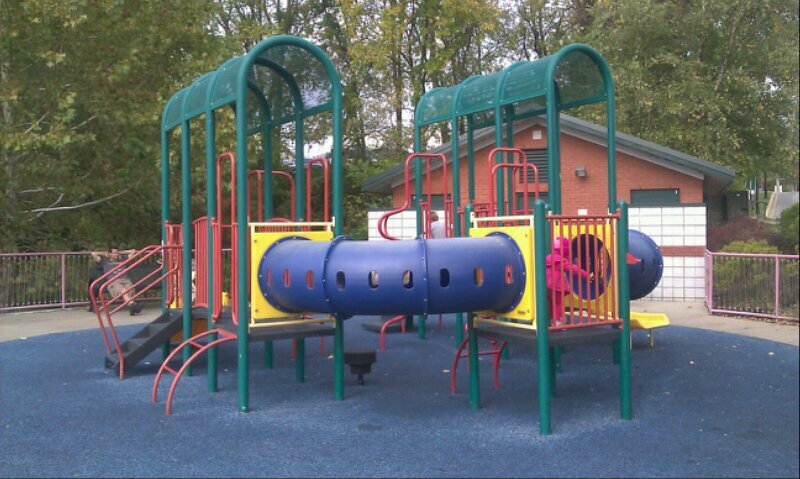 This whole area is gated so you can relax on one of the benches while the kids play. Toward the middle of the first floor is a creation station. This is a large room dedicated to art work. In front of that area is a huge play cottage filled with furniture. A neat little farmer’s market area is set up outside the cottage. 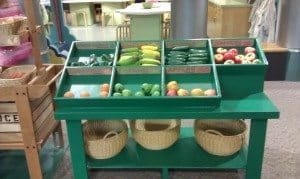 There is lots of play food and a conveyor belt that your kids can move with a hand crank. The first floor is also home to a huge water table. You have to see it! 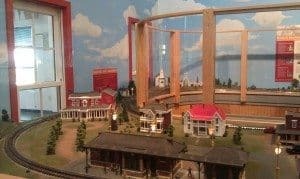 The main floor is also home to a fire truck, a wetland diorama, an aquarium, a ‘dig’ site and the gift shop. 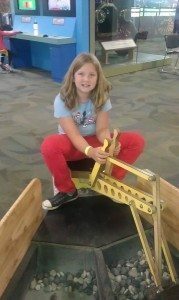 The second floor of the Discovery Center is all about planes, trains and automobiles! 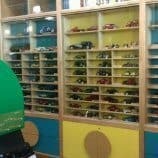 You will see a working Nissan engine, a 1910 model F tourer car and a great ‘build a car’ station. Kiosks throughout the second floor tell the history of transportation. 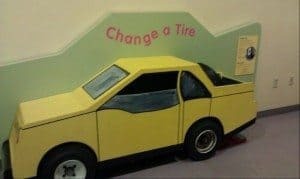 There is service center where your child can pretend to change tires, check the oil and replace a muffler. 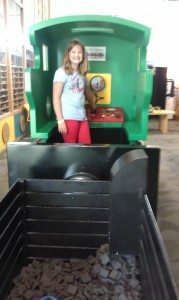 You will also find a 1913 International Harvester truck that your kids can actually sit in. Photo op! 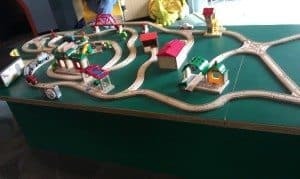 There are tables scattered throughout where your child can play with toy trains or cars. 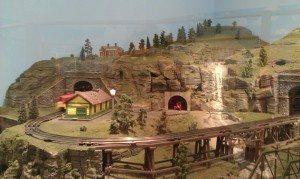 The walls are covered with model trains and cars. 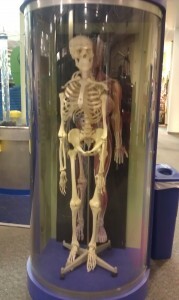 This may appeal to some big kids in your family. The middle of the second floor features several block tables. 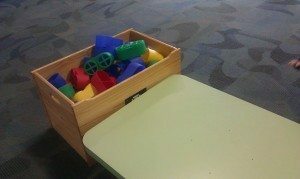 There are large plastic blocks appropriate for toddlers and smaller blocks for your advanced builders. 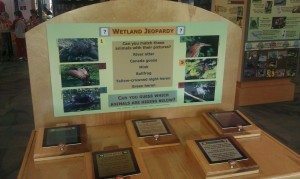 You will also be able to learn lots about wetlands through learning stations throughout the second floor. On the far left side there is a large African exhibit featuring many animals including zebra, lion, leopard and a mounted buffalo head. You may want to avoid this area if you have a super sensitive child. 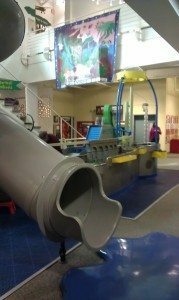 There is much, much more to explore on this level but the most popular attraction here is the ‘super-slide’ that takes you from one floor to the next. 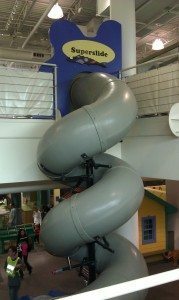 There is an elevator or stairs if the slide is more fun than you can stand. 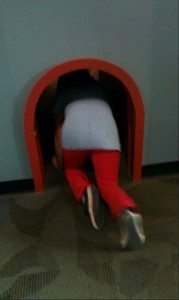 So just assume that you and your kids have experienced all the ‘hands on’ fun the Discovery Center has to offer. Well guess what. There’s still MORE!!!! 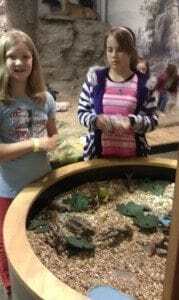 The Discovery Center offers lots of outdoor fun too. 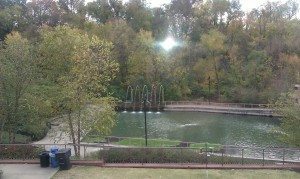 The Murfree Spring Boardwalk allows you access to 20 acres of natural wetlands. 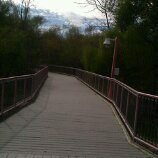 This a great place to let the kids exercise and learn about nature. 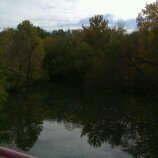 There are picnic tables in this area for a snack or meal. 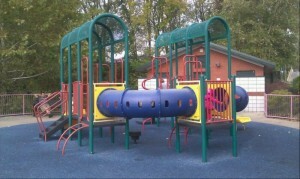 There is also a small playscape. I am exhausted by just typing about all this fun. 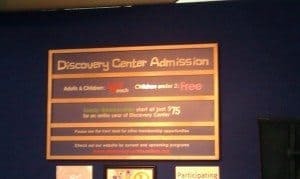 Just think how happy your kids are going to be when you actually experience this place. Trust me here. If you live within an hour of the Discovery Center, go ahead and purchase a membership. You won’t regret it. 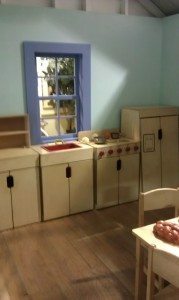 Children under 2 – FREE!